Expect traffic impact and road closures on UCF campus this month as local high schools use CFE Arena for their graduation ceremonies from now until May 30. About two hours before each ceremony, road closures will occur on Gemini Boulevard between North Orion Boulevard and West Plaza Drive. The closures will remain along these roads until about three hours after each ceremony’s start time. Reserved parking spaces for graduation attendees can be found in garages D and H. Students, staff and faculty members may park in garages A, B, C, I and Libra, or in adjacent parking lots designated by parking permits. Be sure to follow directions displayed on message boards throughout campus to avoid confusion, traffic congestion and delays. 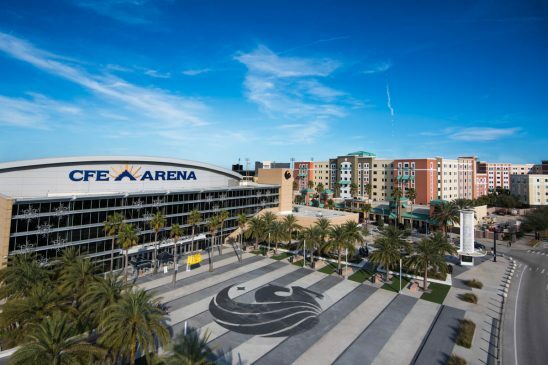 If you’re attending a graduation ceremony at CFE Arena or must be near the surrounding area, please be sure to allow yourself extra time for travel during this time.